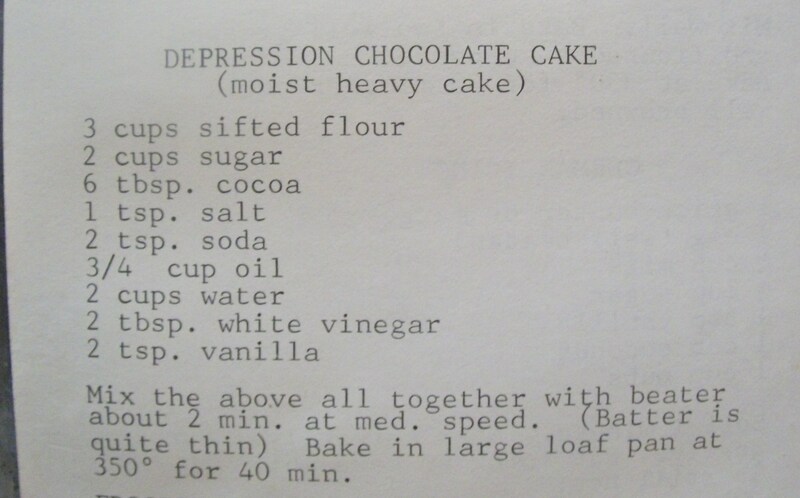 When I was a kid my mom made depression cake once in a while. I remember she would cook it in a metal 9×13 pan and put powdered sugar on top. 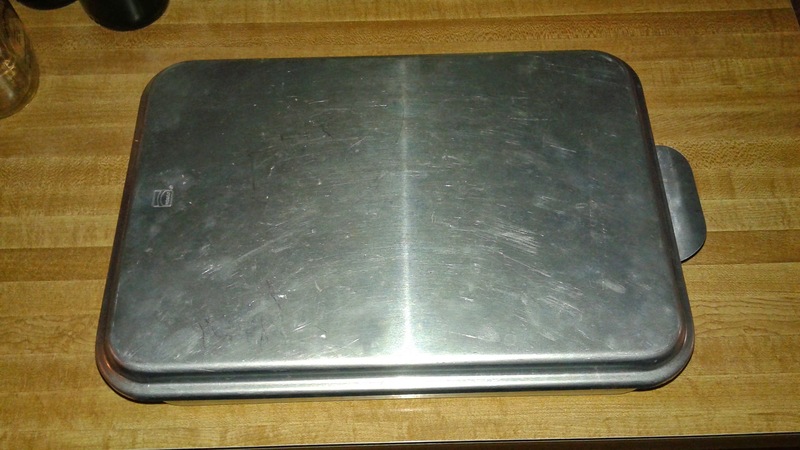 There was a slide-top lid for this pan. I remember the cake to be tasty and moist. I don’t recall thinking it was WEIRD in any way. 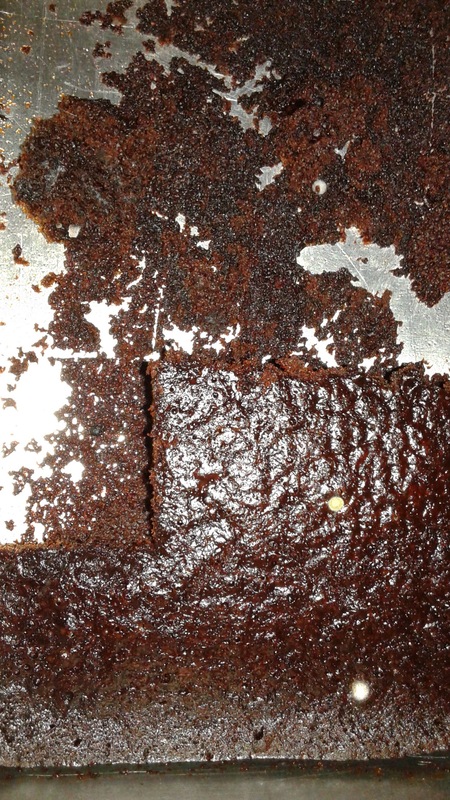 This is my cake in my pan. I have recently seen several posts on social media regarding making depression cake so one day, somewhat recently, I decided to make one. I made this cake as the dessert to follow the first grilled chicken (charcoal grilled) of the season and a giant batch of au gratin potatoes. 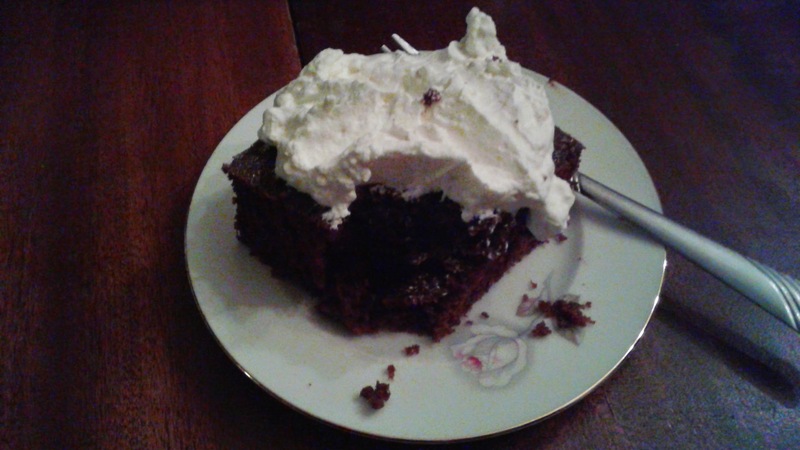 Well, I did serve the cake with whipped CREAM. And I did enjoy making the cake. Brian said his mom still makes depression cake once in a while. Liza and Laura do not recall their mother ever making such a cake. When I asked Liza if she wanted any cake the next day she said: “That cake smells weird.” I asked Vince (one of the kids) if he thought the cake was weird. He said, “No, but it doesn’t have any frosting.” No one but me had any more of that cake. It might be growing new life on the counter right now. 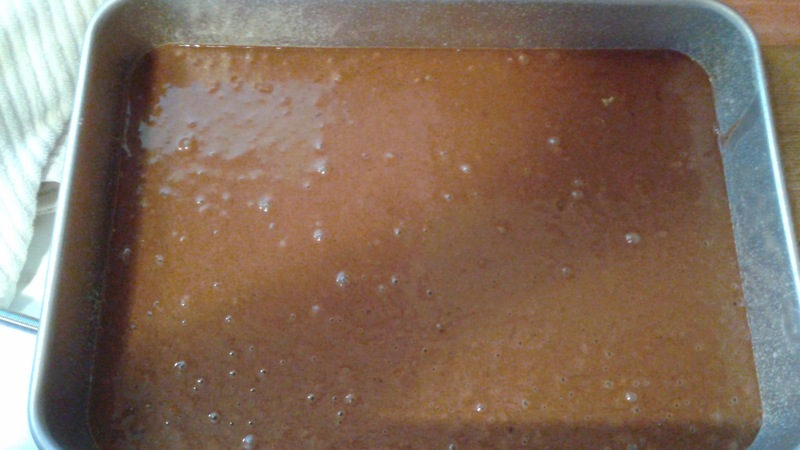 My cake is also in a metal pan but the lid snaps on rather than sliding. It turns out it didn’t grow any new life for about three weeks when I took this picture. Note two very small spots of mold. 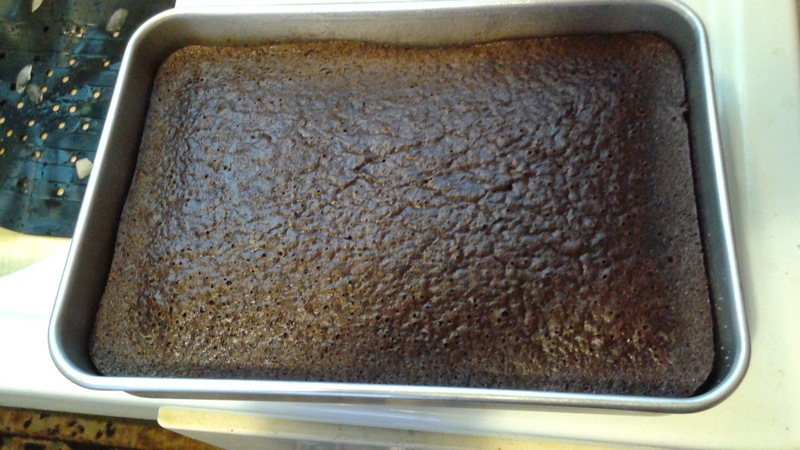 I cleaned this out and made a new cake. This time I used my mom’s recipe. She got her recipe from a Daffodil Auxiliary cookbook she received as a wedding shower gift many years ago, before I was born. 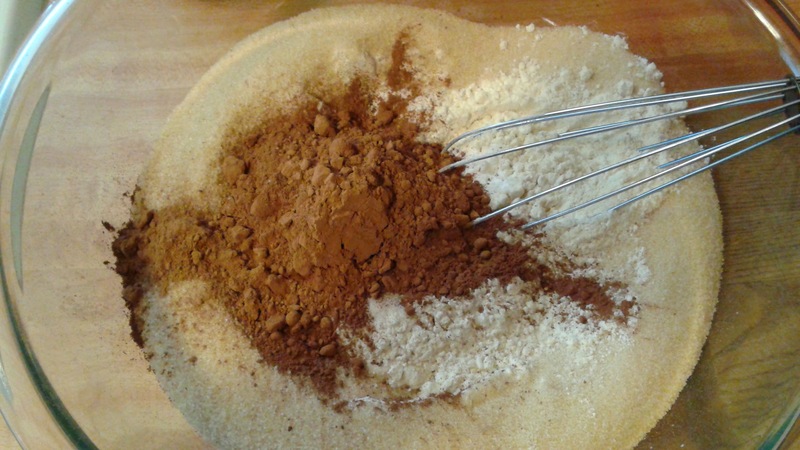 The only difference with this recipe is it has 6 tablespoons of cocoa powder rather than 1/2 a cup (8 tablespoons). 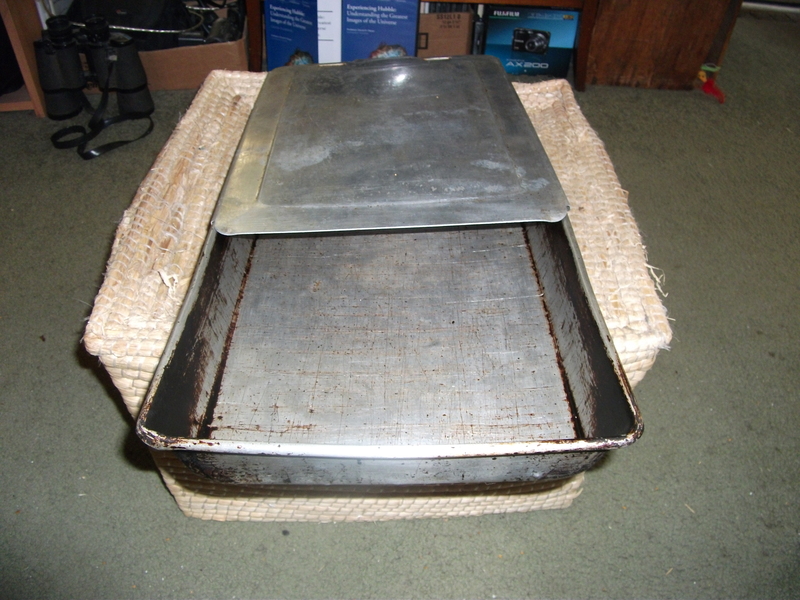 Here is my mom’s recipe and her cake pan. I didn’t use a mixer as is suggested in my mom’s recipe. I made the three wells after mixing the dry ingredients then added oil, vinegar and vanilla each to one well and covered with water. I then mixed well with a whisk using the muscles in my arm. No mixer needed. 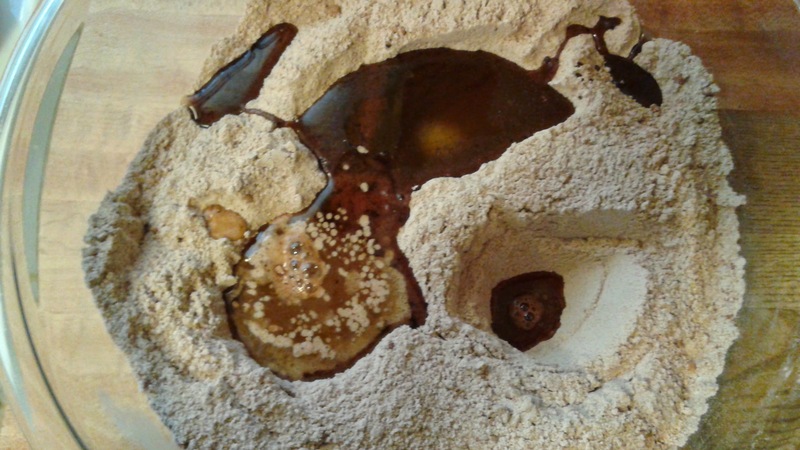 These were the mixing instructions I found in several different online recipes. 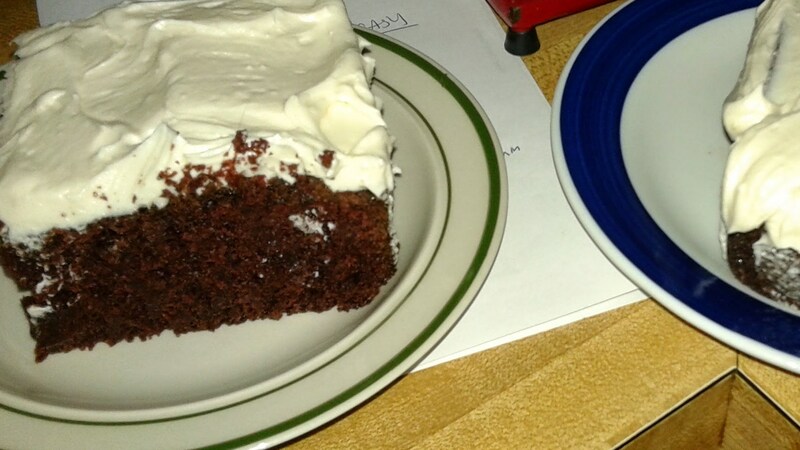 This time I served the cake with vanilla buttercream frosting using one cup of butter, 3 cups powdered sugar, 2 teaspoons vanilla and about 2 tablespoons heavy cream. 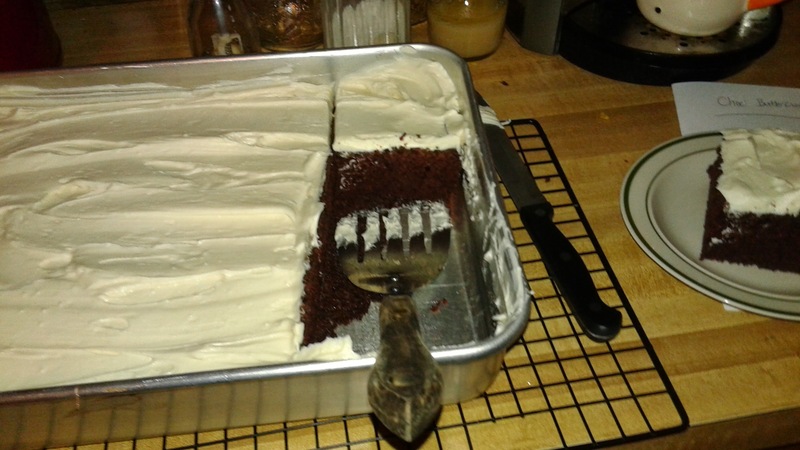 Maybe this time the kids will eat the cake since the other cake was missing the vital ingredient of frosting. This time Liza said the cake was good but it still smells weird so she just doesn’t breathe when she is eating it. 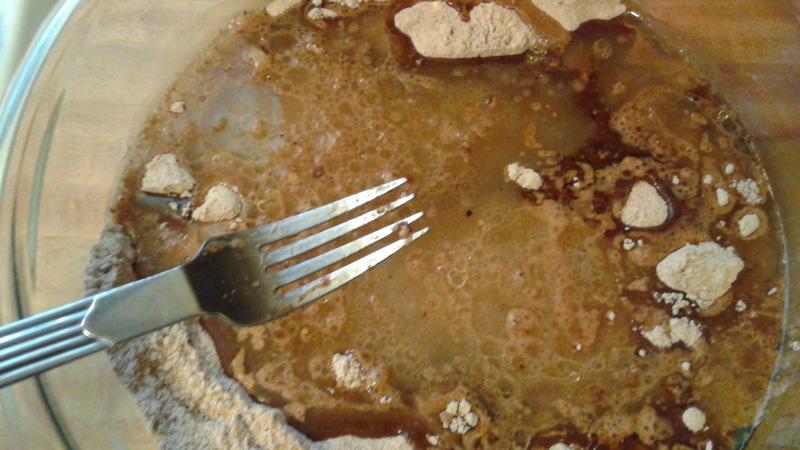 This entry was posted in food and recipes and tagged butter, buttercream frosting, cake, chocolate, cooking, cream, depression cake, dessert, food, metal cake pan, recipe. Bookmark the permalink. Reblogged this on chinnykitchen's Blog.